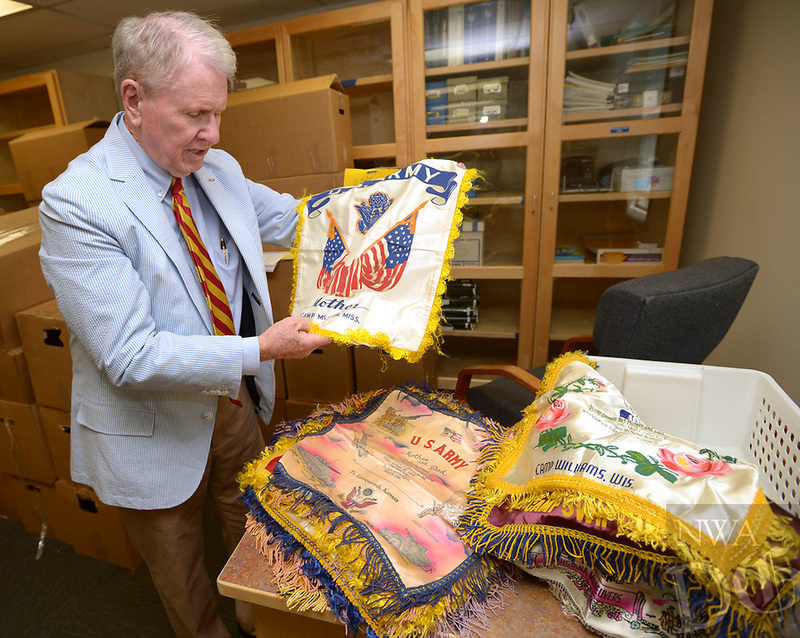 Jim Johnson, vice president for development at the Arkansas Air and Military Museum at Drake Field in Fayetteville, shows off one of 50 World War II- and Korean War-era pillow slips that were donated to the museum. The slips were common mementos that were purchased by U.S. service members to send home to family or significant others from military bases and theaters of operation. The collection will soon be displayed at the museum.